Say hello to the next generation of cloud power services. You now have the power to enable your people to work from virtually anywhere, anytime, and on any device with simple, familiar collaboration and communication solutions – all backed by the proven security and guaranteed reliability you expect from Microsoft. Office 365 is the evolution of Microsoft Online Services, which has more than 40 million users in businesses worldwide. 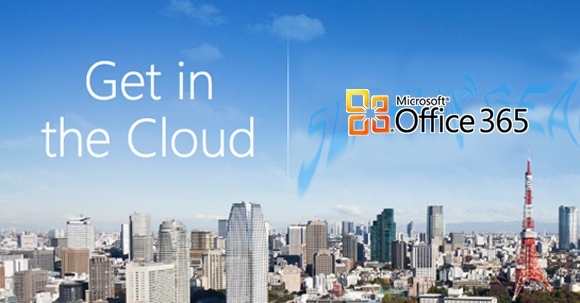 Office 365 is the evolution of Microsoft Online Services, which has more than 40 million users in businesses worldwide. Learn more about how Microsoft Office 365 would work for you. With Office 365 your people can more securely reach the information they need – including email, documents, contacts, and calendars – in the office or on the go. That means having a virtual office, virtually anywhere. Office 365 is designed to work with the software, devices, phones, and browsers already in your arsenal. This gives your workers the power to access information and stay productive across all means of access while maintaining security and still keeping your existing business applications. *Requires subscription to Office 365 for Enterprises. We know security is top of mind when it comes to cloud computing. That’s why Office 365 was built from the ground up for reliability, availability, and performance. Our proven service is powered by the same Microsoft email and business collaboration products that businesses have been using for decades. You need to get the most from your technology. You also need to ensure the right level of technology is available to all your staff along with the ability to adjust to meet cyclical demands. Office 365 delivers interoperable cloud services to fit your organisation’s unique needs. You have the latest updates to Office Professional Plus, Exchange Online, SharePoint Online, and Lync Online, so you deliver the latest productivity tools to your staff without having to buy new hardware and software or pay for maintenance and configurations. Microsoft knows business productivity. For over 20 years, we’ve been providing customers with solutions that simplify the way people communicate, share expertise, gain business insight and find information. We help make sure your people get the best productivity experience across the PC, phone, and browser for the way they work today—and the way they’ll work in the future. Here’s how we’re different. Microsoft delivers a holistic business productivity approach to meet your ever-changing business demands. Our infrastructure gives the choice and control you need to respond to evolving business needs. You can choose from on-premise, online services, or hybrid solutions. And, because our solutions are built to work together—not as an isolated set of applications—they’ll help you make the most of your assets and eliminate costly redundancies. It is always tempting to say ‘yes’ when a browser asks if you want your password saving, even though this means it can be stolen by a Trojan if your computer becomes infected. Microsoft Exposes a New Kind of Browser Attack. Microsoft has released a warning about a new kind of browser-based attack. The attack mimics genuine pages generated by Internet Explorer, Firefox and Chrome and fools users into installing a fake anti-virus software. Users that visit a compromised website, are presented with a genuine looking pop-up on their web browser, with an bogus alert that their security defences have failed and they need to install the an anti-virus software to contain the virus.